McDowell House (Paxton House) circa 1918. 2018 marks the 100th anniversary of the McDowell House, one of the few historic houses in Wilburton that still retains most of its original structures. It’s a craftsman-style house with spacious square rooms, a cobblestone chimney on the southern wall, and a brick fireplace painted white. The roofs extend a couple feet out from the walls and over the west-facing porch, keeping the house dry. One of its more remarkable features are large multi-paneled windows with wooden frames, a luxury in that time. Surprisingly, most of the closets in the house have windows, reducing the need for artificial light. The house was formerly part of a 5-acre property that contained the Cherry Hill and High Ridge Farm, which produced fruits including grapes, berries, and cherries. It was a few blocks north of the Wilburton historic town and conveniently close to the railroad. Many of the features of the property are now gone, including a barn and a windmill. Bellevue demolished a garage as well. John H. and Ella McDowell owned land in Clyde Hill by 1905 and built the McDowell House in 1918 with cedar timbers from the Wilburton Mill. Watson and Wallace McDowell were most likely relatives to John and Ella, though the documentation is ambiguous. Watson was a Lieutenant serving in World War I – he returned to Wilburton by New Year’s Day in 1919. Wallace was also involved in the military, working in transportation in England and France in 1918. The McDowell's sold their house in the 1920’s and from there the house went through many different owners. Thomas E. and Mary S. Paxton bought it in 1964, after which the house became known as the Paxton House. The City of Bellevue bought it from the Paxtons in 1988. 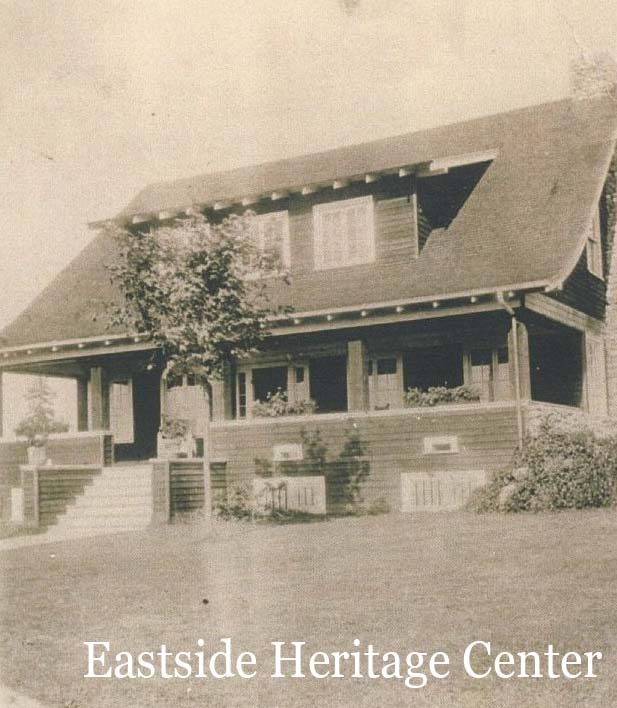 Today, the McDowell House houses the Eastside Heritage Center’s administrative offices where staff, interns, and volunteers do outreach organization, event planning, and research. Overall, information on the McDowell House wasn’t well-preserved; the Eastside Heritage Center has very few records on the house and its inhabitants. Despite its many mysteries, we are happy to celebrate the house and its heritage to remember Bellevue as it was.